For fun, I can draw many analogies from the tour to my life: There are forks in the road, hard battles uphill, and it’s as easy as riding a bike. It’s the ride of my life. I choose to ride a bicycle for world touring. Pedal-power makes for an earth friendly transportation. 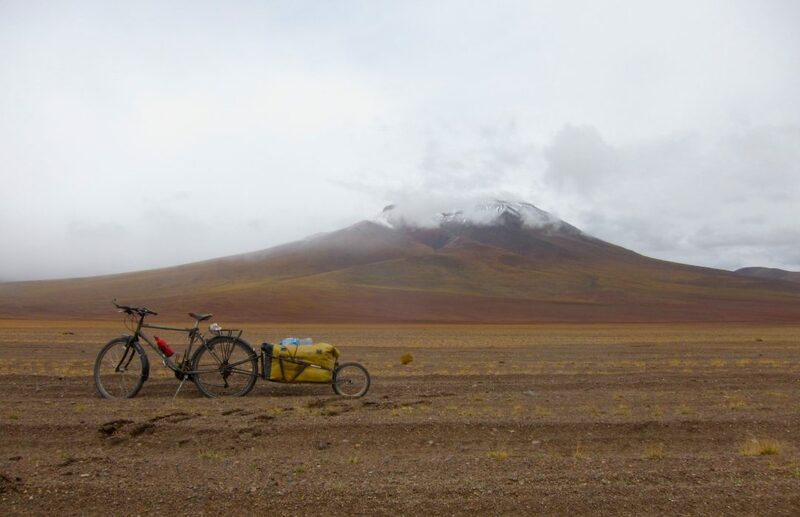 It’s not the conventional way to travel, yet for me, bike touring genuine experience. I am allow to have a deeper connection with the environment, everyday and I don’t want to watch it fly by looking through a window. I believe the challenges on the road will strengthen and reward me. By traveling this way there is a vulnerability that is humbling. To travel by bike makes me feel that I am no better privileged to see the world than my own strength and spirit allows me. Other forms of transportation will be used if it means to save time, for safety, or avoiding terrible weather conditions. Let it not be ego, but love that governs my choices.